These are the days of early dawns and long shadows in the evening. I have just come in from a dander around the cottage and some pottering around the garden. The sky is a clear blue here and the sun is lazy and low over the fields. Today the little man’s grandparents arrived to drink tea, paint the shed and hang out in the sun. 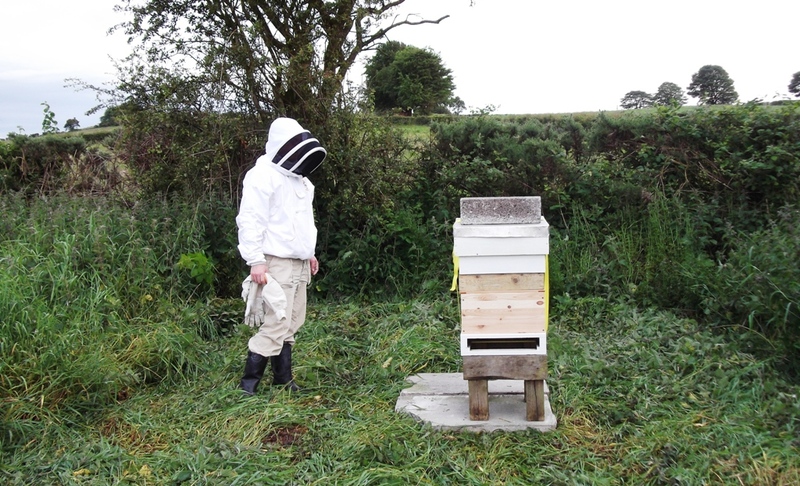 I also took it as an opportunity to check on the hives and introduce my father-in-law to the bees. 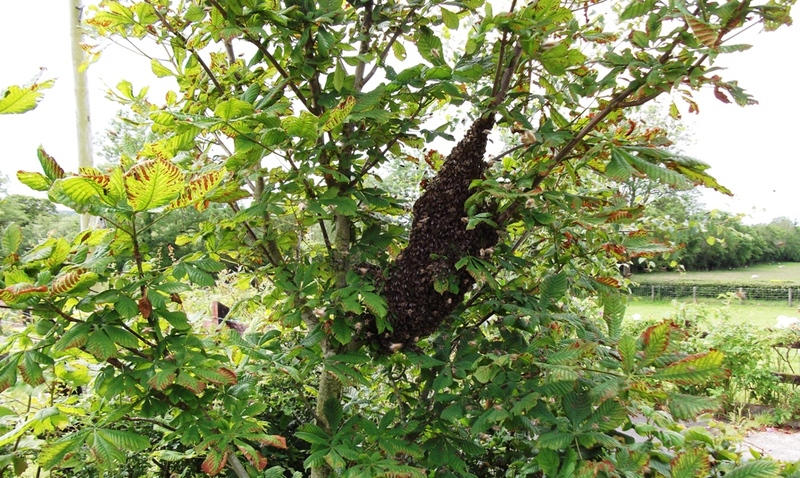 First we went into the hive that Grelder had swarmed from to find more bees than I thought would have been left behind. Lots of queen cells were left behind, some of which were very obviously emergency queen cells. We broke down all of them but two. I would have liked to leave only one but they were constructed in such tight clusters that leaving one would have risked leaving it damaged. The other hive at the cottage should contain Grelder’s first daughter and she should soon be taking her nuptial flight soon. 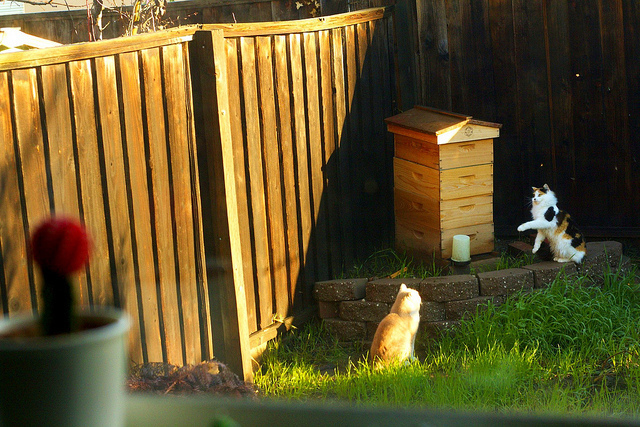 We stayed away from that hive and did not risk looking in at all. Then we jumped in the car to take a trip up to Grelder’s swarm. Good news; a complete frame of beautiful eggs. Grelder lives and she is busy building her new empire in a far off land (7km away and an extra 100m up). 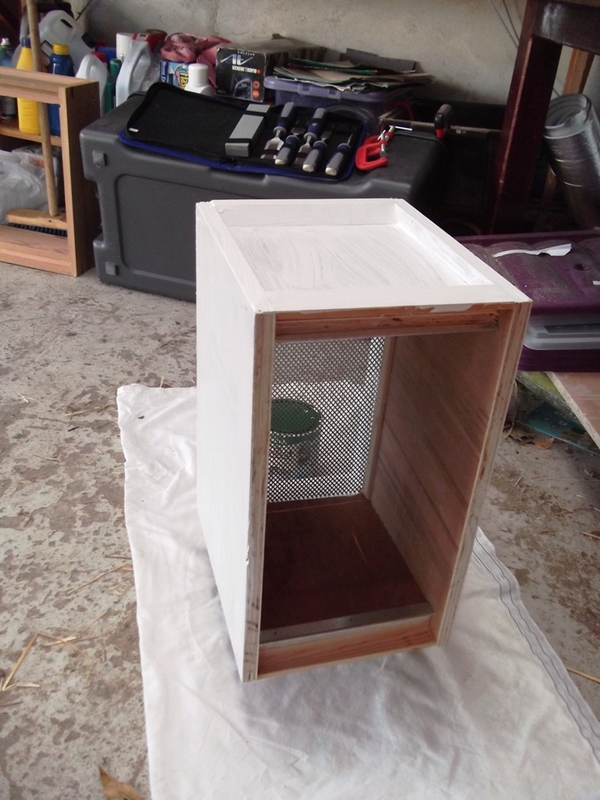 Back at the cottage I dusted off some old plywood and set myself the task of building a nucleus box (small bee hive). If the two potential new queens successfully mate I might try and take them through the winter. 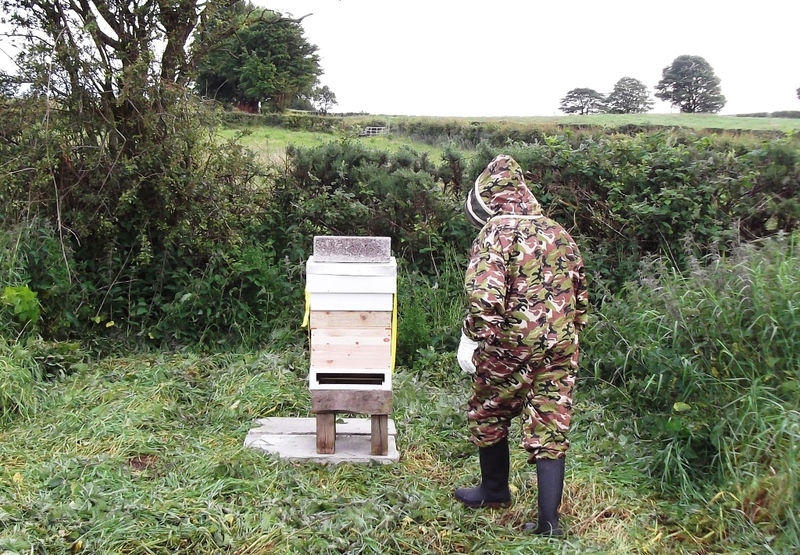 To do this I might have to use nucleus hives as the normal hives may be too big to heat in colder weather. 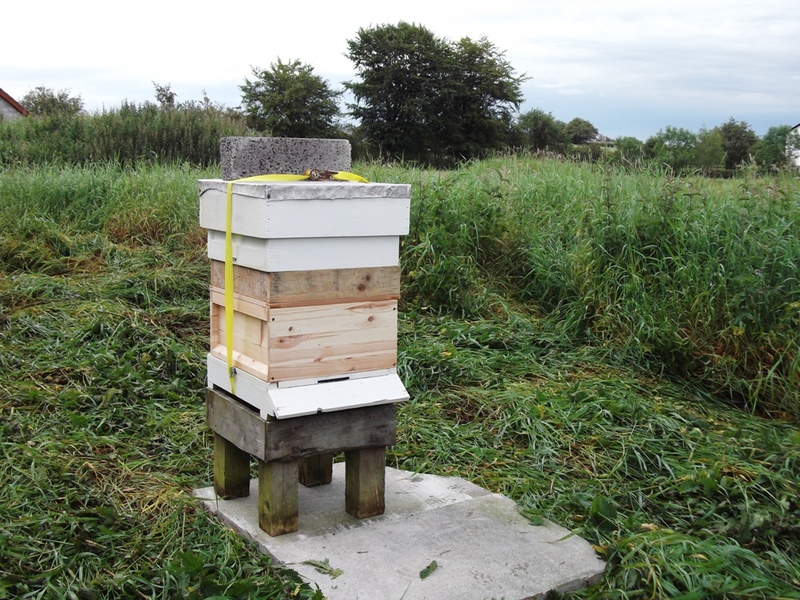 Even if they mate and build large enough colonies which require the larger hives then I have learnt, the hard way, that any spare equipment can be very useful. Grelder’s eggs are the good news but there is also some bad news. 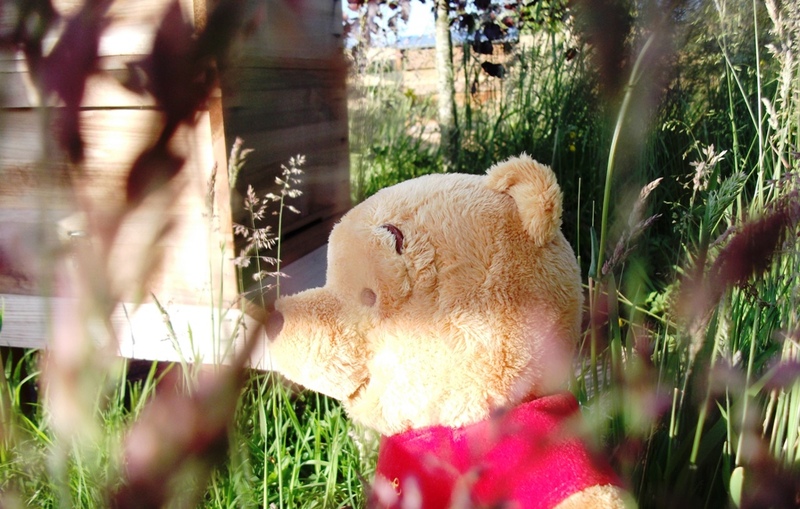 As I put my ear to the side of the hives this evening to hear their beautiful hypnotic whispering my eye caught sight of something that filled my heart with dread. Some call them winnie’s and some call them pooh’s, but they strike fear into the heart of beekeepers everywhere. I don’t know how I am going to deal with this particular pest, it just feels like it is one thing after another at the moment. 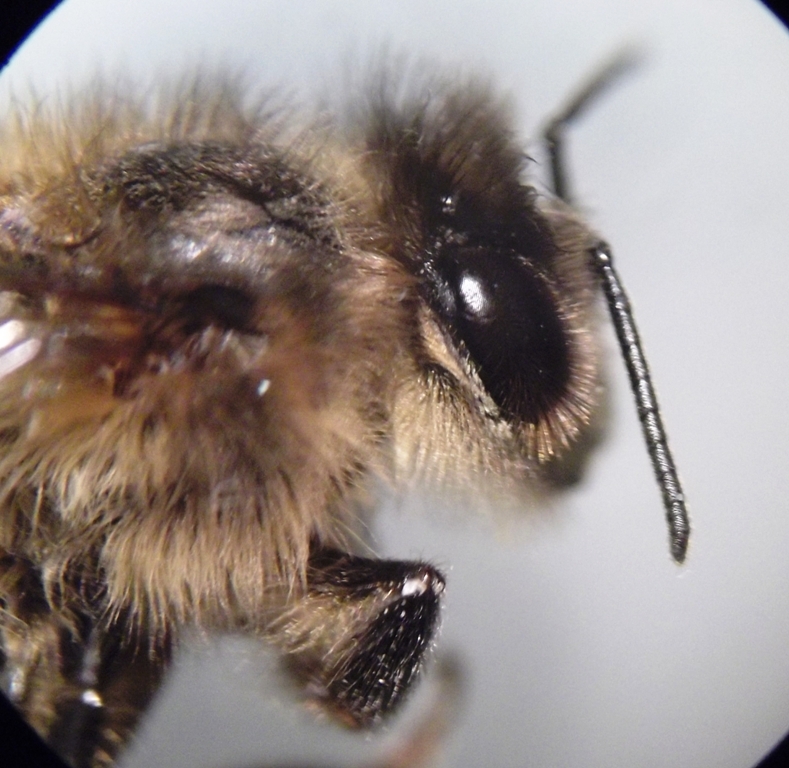 They are predators that seek honey, runny honey for their tummy. It’s not funny. I read the books and sat in the classes. I read the books again and found some more of the books to read. It all filled me with things to do, planning, preparation and dreams of the future. And it always left the thought in my mind. The thought was indelible and deep seated; I worried abut the swarm. 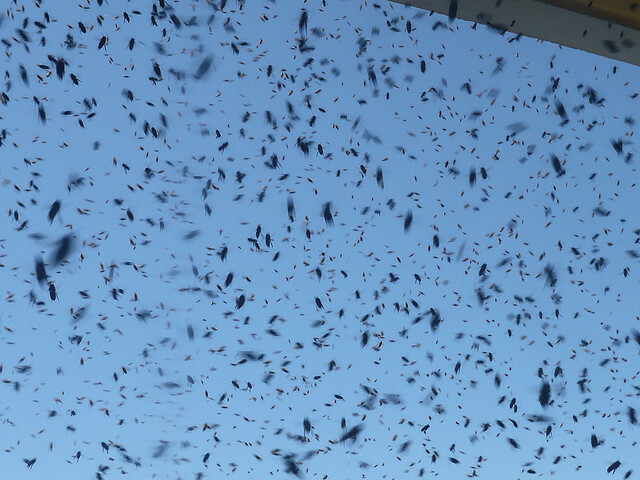 Will they swarm? Will they be content and good little bees? I worried and worried some more. I mentioned it so much that the lovely Sharon began to roll her eyes and mock my anxiety. I have to admit that I was never extremely worried about the trouble they might cause as they are said to be at their safest when they are swarming. 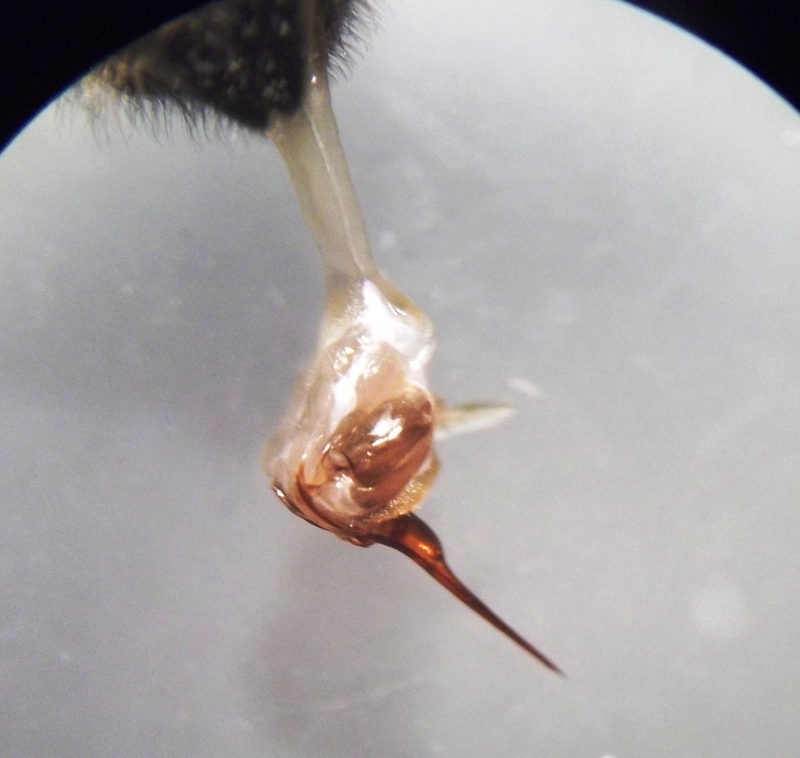 They are said to have a belly so full of honey that apparently even using their sting is a problem of practicalities. 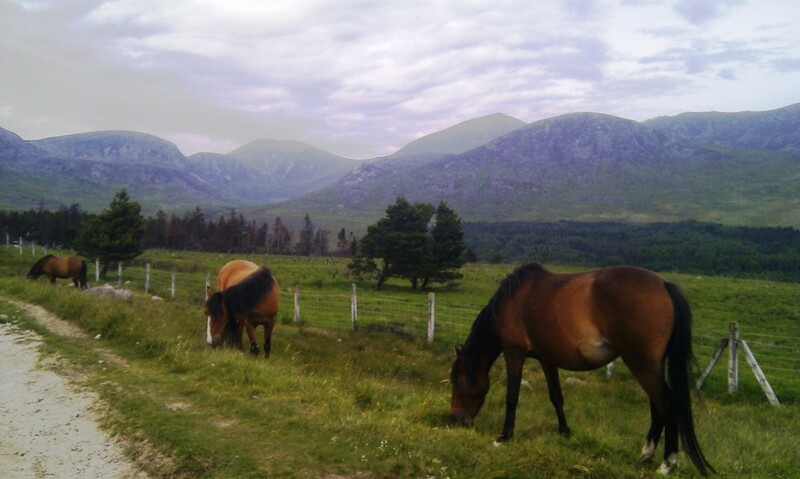 And now I am a witness to this; they were docile and uninterested in me. It is difficult to describe this. Even when I was ploughing my hand into them as they clustered on the tree and cupped them into the box, they behaved themselves. There was not a single sting from the tens of thousands of them. No, I was not worried about the terror of a swarm. I was worried about losing my bees! We paid for those bees! Once the swarm actually happened in reality, despite my intervention by the book, the lovely Sharon became sympathetic to my concerns. She was amazed at the numbers of them and how they filled the air just before condensing onto the tree. But, she was never worried, our whole family seemed un-perturbed. We all dragged the chairs and toys out on swarm Sunday and chatted and played in the back garden while the tens of thousands of bees walked the plank in the front garden. It was only surreal if you stopped to think about, otherwise it was all quite normal. They call it the great wind down, the last weeks of school term. This may have been true years ago but it exists only as a thing of the past now. The shift in my attention now moves away from my classes as they dwindle away and on to the massive puzzle that is the school timetable. In the middle of scheduling classes and playing with single and double periods, the electronic reporting also seems to eat away at huge chunks of my time. 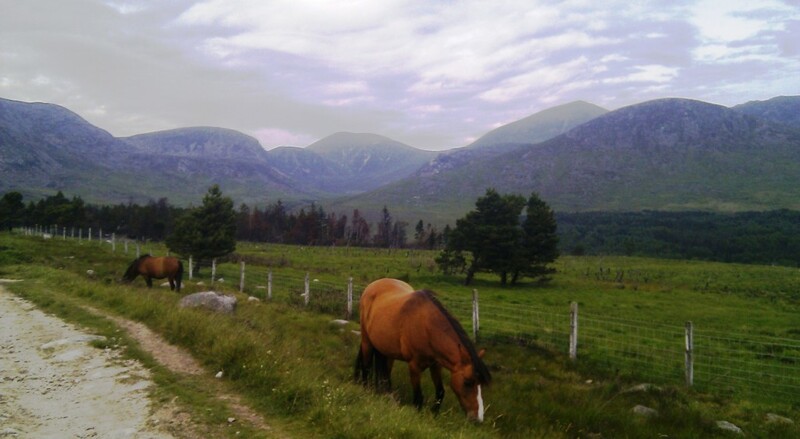 Amid all these things little pockets of tranquillity appear as I head into the mountains with groups doing the Duke of Edinburgh Award. It is these random and amazing days that make it very difficult for me to convince the lovely Sharon how busy I really am. After peeling and chopping a mountain of potatoes the lovely Sharon dismissed me from kitchen duties so I could grab a mid-morning coffee. I can’t really remember the time it was at the moment of sipping that coffee because it became lost in the whirl that became swarm Sunday. I was casually staring out the window across the garden at the two hives, only one of which has a laying queen at the moment. This hive has the queen we have now named Grelder. I am not a fan of naming animals that are not truly pets. I named the chickens only as a joke (Roast, Lemon, Szechuan and Rosemary) and never use the names or can ever tell them apart anyway. But, after the artificial swarm adventure we thought she deserved a name and Grelder seemed fitting as GRound ELDER is something we have to deal with a lot here; just when you think it has completely gone it suddenly appears again from an unknown hiding place. After a few minutes they neatly parked themselves at a lovely height on the tree and I went off to get suited up and find some bits of kit to attempt to catch them. I had never thought I would be catching swarms so early in by beekeeping career so I have to admit that I did the usual amateur thing of grabbing a couple of bee-books and frantically refreshed my memory on how it should be done. As it was a lovely day and they were so handily positioned I decided to go for the old fashioned method of walking them in which is apparently quite unnecessary but amazing to see. After getting them into a little wooden box I transferred them into a hive with frames using a method from a different source. 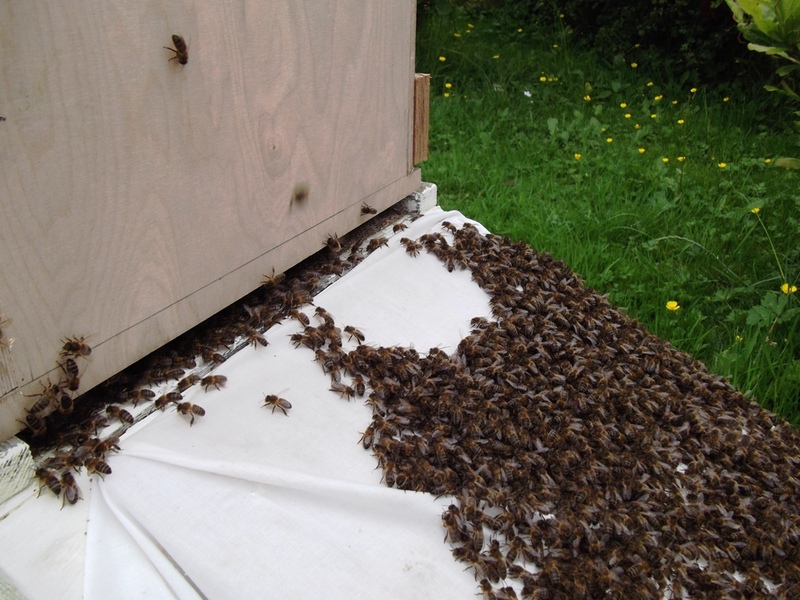 It involved quite a bit of space which seemed unnecessary to me but I went with the wisdom of others and shook the swarm into a brood box, excluder, eek, brood box tower and left them to settle themselves in for the evening. 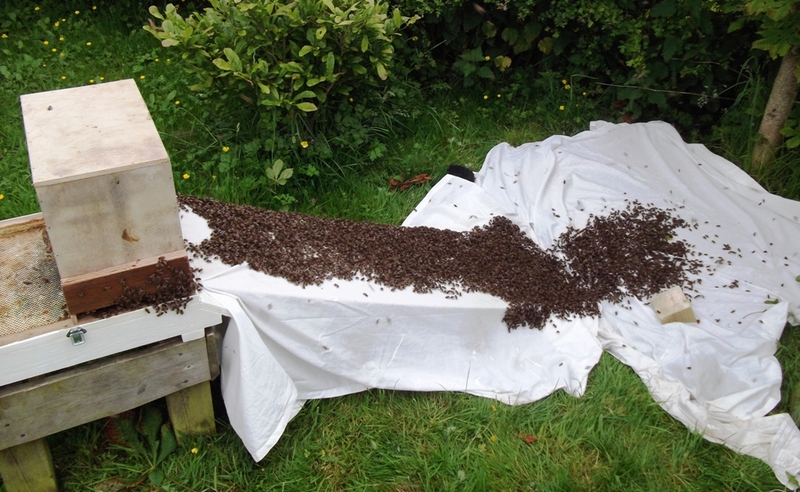 Grelder the queen had only just been put through an artificial swarm exactly a week ago and it seems she could not be easily fooled. So in a burst of extravagance I decided that if she wanted to leave then I would make her leave. With the help of my brother in law I loaded them on to a trailer and carried them off to a bolt hole site on his land. In the pictures he can be seen wearing a camouflage beesuit and white marigold gloves. I kept asking, “where are you now?” Then he would appear standing beside me hidden in the hedge with his gloves giving me the impression of some strange army mime artist. 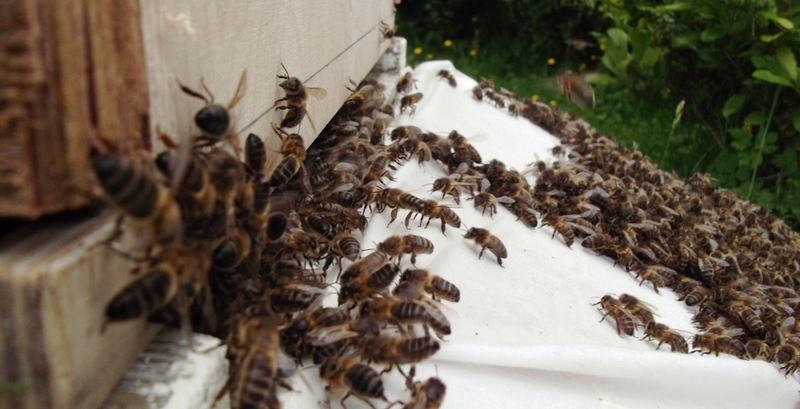 I am assuming that Grelder left some lovely queen cells in her old home and a very small skeleton crew of bees. 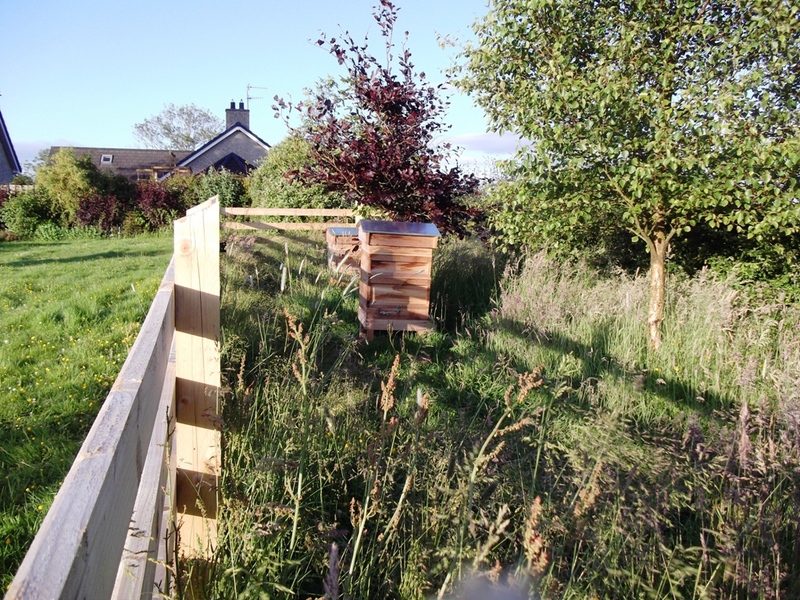 I also assume that, over the coming weeks, I will have to see if the two hives left behind in our cottage apiary will produce laying queens. 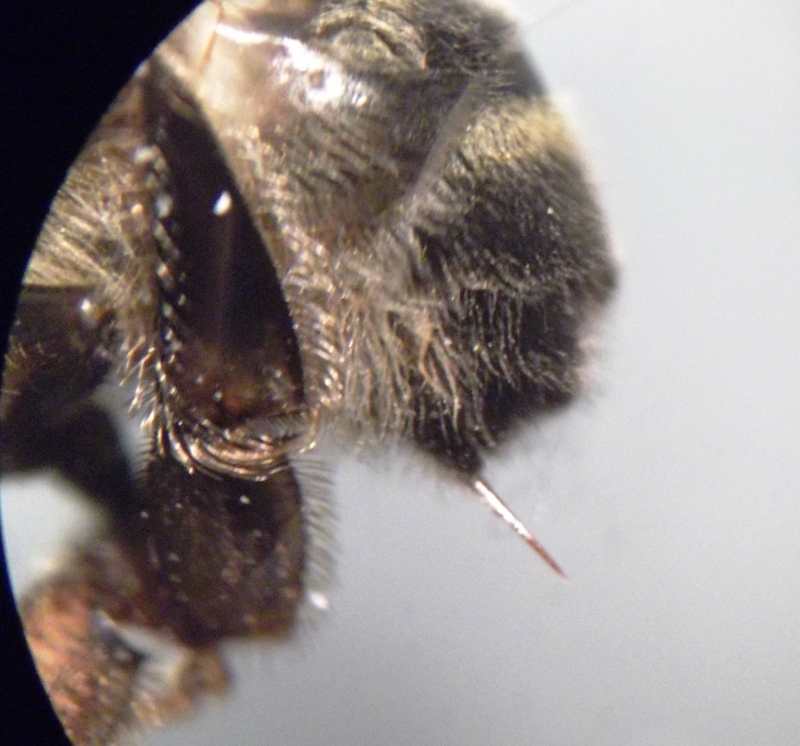 Then decisions will have to be made, hives will need to be recombined and a queen might have to be killed. And Grelder, if you happen to be reading this blog, it might even be you. miles from home – is that swarmed enough for you Grelder? The day started lazily and continued at this pace for quite some time. Even though a lie-in is just a fable now or even a thing of folklore, the morning can still be leisurely. The little man has developed the habit of tunefully singing with the birds at dawn. We believe this to be a random fluctuation in genetics as this trait is not an inherited one. We had only a few objectives for the day other than the regular chores. Cheesecake and Banoffee were on the lovely Sharon’s list and, as a family, we had the aim of heading out for lunch. 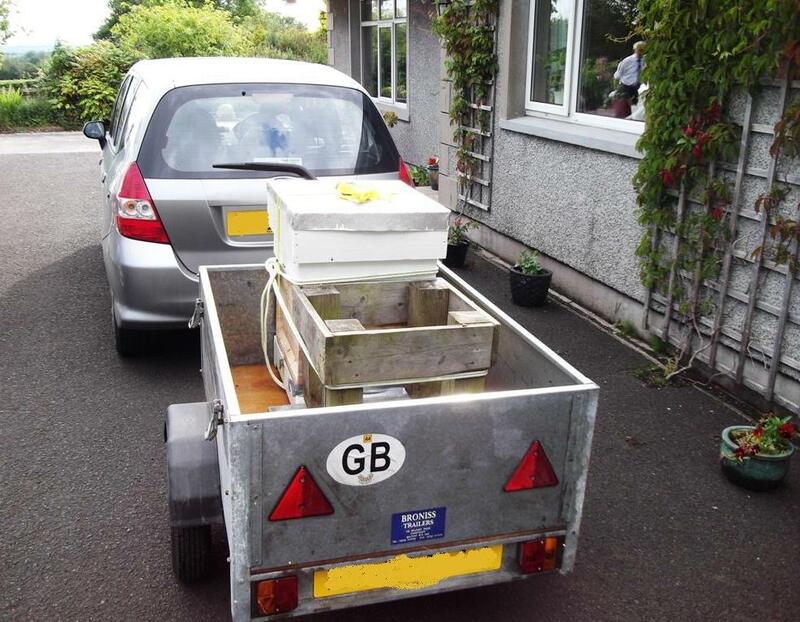 The bees were not on the list as they need time and space on their own for a while. As I cleaned out the chickens I had an opportunity to lean on the brush shaft and stand for an eternity and watch the antics at the hive entrances. 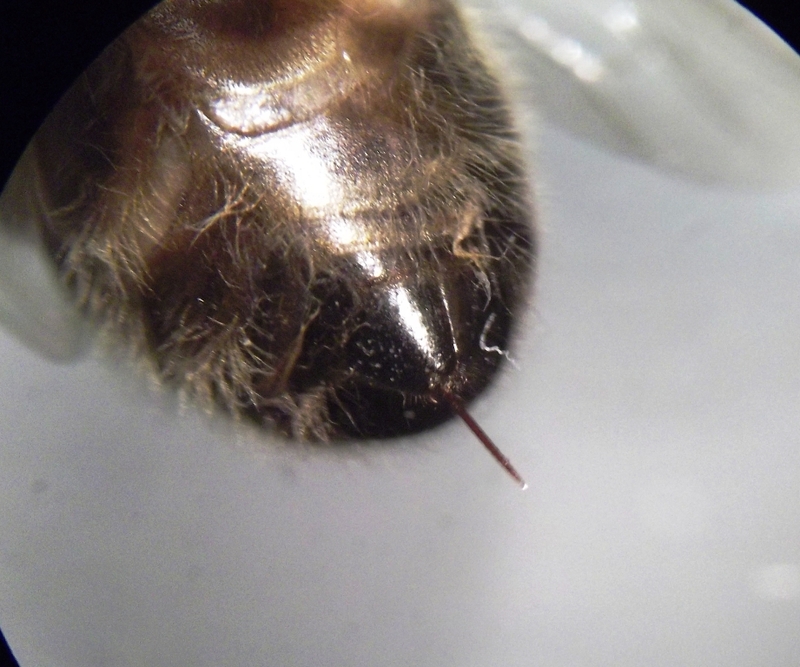 The hive with the baby queen showed some encouraging signs as several bees were doing orientation flights. They change jobs from nurse bees to flying bees and the first thing they do in this new role is make circular flights around the hive in ever increasing circles. 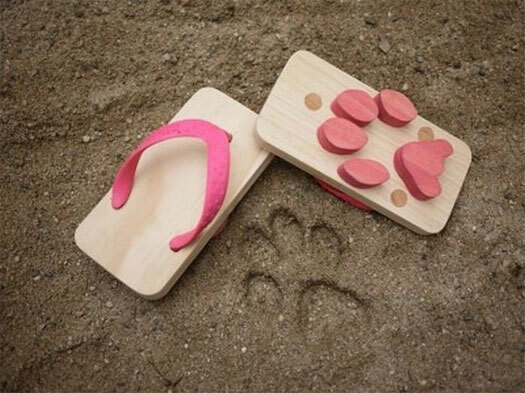 In this way they imprint the surroundings of their new home into their mind. This hive has very few flying and so every one of them is essential to bring in the pollen and nectar to feed the hungry mouths. The other hive seems to be a mirror image of this. It has a ridiculous amount of flying bees and few nurse bees. This hive has the queen we have now named Grelder. I am not a fan of naming animals that are not truly pets. I named the chickens only as a joke (Roast, Lemon, Szechuan and Rosemary) and never use the names or can ever tell them apart anyway. But, after the artificial swarm adventure we thought she deserved a name and Grelder seemed fitting as GRound ELDER is something we have to deal with a lot here; just when you think it has completely gone it suddenly appears again from an unknown hiding place. If I had been a more experienced beekeeper I would have put the hives closer together to make evening out the number of flying bees a possibilty. This is achieved by swapping the hives to each others positions over a couple of weeks in a strange ball-in-a-cup type manoeuvre. After lunch I found myself in a well known bookshop in the ‘town’ and bought yet another book on beekeeping. At the desk the lady asked me if I was thinking of keeping bees to which I replied (half embarrassed, and I do not know why) that I already do. Then came the classic next question of’ “do you make your own honey then?” I am sorry to say that my reply is always the same very annoying phrase, “no, the bees do that. It would take me too long to make my own honey.” I can’t help myself. 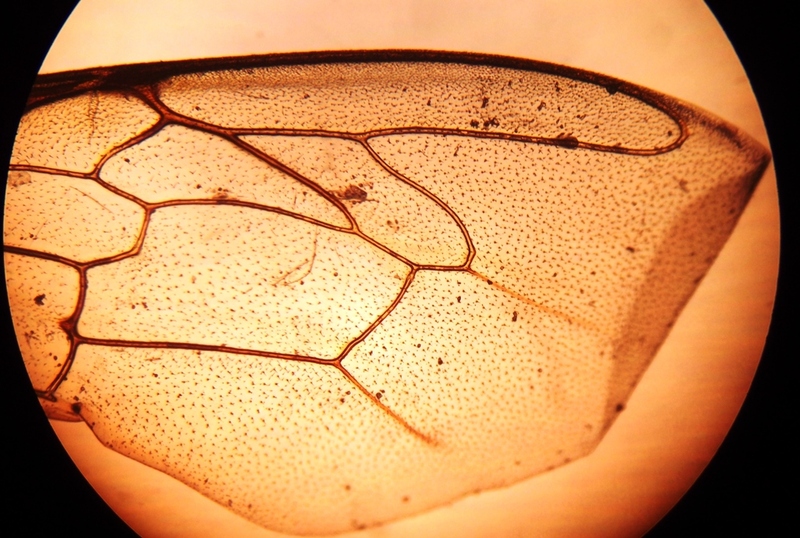 Looking at the wing of one of Grelder’s daughters can apparently reveal how close she is to the pure Irish Black Bee family tree. One day I hope to figure out how to do this.